Olive Garden, Jbeil. Information, Photos and Reviews. 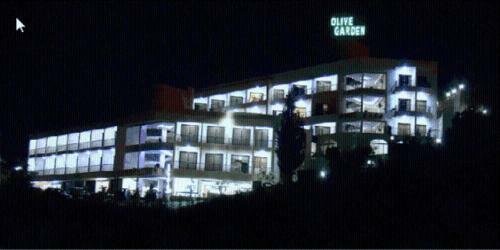 Olive Garden is located on a hill overlooking the middle of Byblos, minutes away from the Phoenician ancient city. It boasts free Wi-Fi in the entire hotel, a gym and an outdoor pool. All rooms at Olive Garden feature a balcony overlooking the city. Nobody has reviewed Olive Garden yet, Be the first. You are submitting a booking enquiry. Olive Garden will then contact you by email with details of availability and prices.